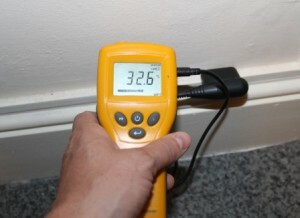 Whilst undertaking a homebuyers survey in Newbury, our surveyor discovered damp to the base of internal and external walls and damp also to the ground floor throughout the property. The exact cause of damp could not be determined, although our suspicions were that the damp was caused by a damaged or failed damp proof membrane to the floor. Other possibilities included buried service pipes within the floor screed, which could be leaking. 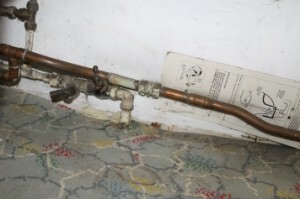 It is very common for service pipes buried in screed prior to the 1970’s to not be properly protected. Copper pipes can react with the cement within floor screeds causing corrosion; this process is accelerated where moisture is present. In some cases, where we have found similar problems and pipes have been exposed, the copper pipes are extremely thin due to this corrosive process and prone to leaking. If you have any concerns regarding damp or are experience any similar problems please contact us on 01635 579208 or use the form below. Whilst undertaking a refurbishment of some flats in Gerrards Cross, Buckinghamshire, RMA Surveyors Ltd noted in the ground floor shop, beneath the flat, a large yellow fruiting body. On closer inspection and pulling back the floor covering, we discovered an extensive and well established infestation of dry rot (Serpula lacrymans). Although not part of our original instruction, we were able to inform our client of the presence of rot, and were duly instructed to oversee strip-out treatment and reinstatement of the shop. 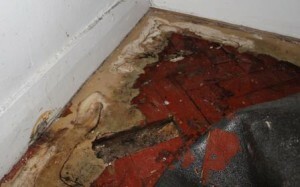 The rot was associated with a long term damp problem. The affected floor was a timber parquet floor, we provided advice to the client as to how the damp was ingressing into the property and delivered a solution to deal with the damp. Although there was additional cost in dealing with the rot and damp, we managed to save our client a considerable amount of future repair. If a dry rot infestation is left unnoticed, it can spread to other parts of the building, potentially creating a far greater remediation bill. If you have a problem with rot or damp please contact us for the appropriate advice. Call us on 01635 579208 or complete the form below. 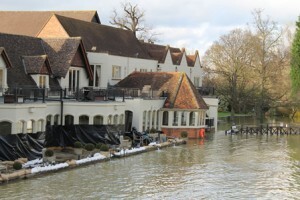 We recently undertook a building survey in Newbury to a basement flat. 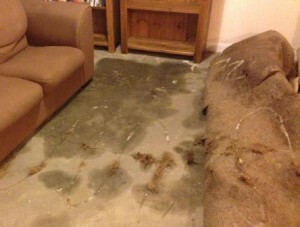 The property was subject to quite a bit of internal damp, which would be the responsibility of any incoming purchaser to resolve, incurring all associated costs. Living in a property while damp treatments are being undertaken is sometimes not practical, particularly in a small space, such as a flat. So there are logistical implications, as well as financial ones, to be taken into consideration. The property in question was a converted town house, which had various defects externally indicating that no recent maintenance works had been undertaken, and there was unlikely to have been a maintenance management plan in place. Potentially, the client was taking on a considerable financial outlay with this property purchase. By instructing us to carry out the building survey prior to purchase, we were able to highlight the potential of these costs, providing our client with value for money and peace of mind in undertaking the purchase. In similar past cases, clients have walked away from taking on such a liability. If you’re looking to purchase a property, call us for some advice on whether a building survey or Homebuyers Report would be most suited to your potential purchase. Or simply call for a quote. Contact us using the form below or on 01635 579208. Recently we undertook an RICS Homebuyer’s Survey in Reading and found mildew staining to the underside of felt and roof timbers. It indicated that the roof ventilation was not adequate, causing moist air to condense on the cold surface on the underside of the roof covering. This defect is more and more common as building owners are taking advantage of government incentives to improve energy performance in properties, adding additional insulation in their roof spaces. However, if insulation installers are not careful they can block up gaps between rafters at the eaves and prevent the cross flow of ventilation through the roof void. Ventilation in the roof space is important as it is required to ensure roof timbers are protected from such moisture and the resulting consequences. 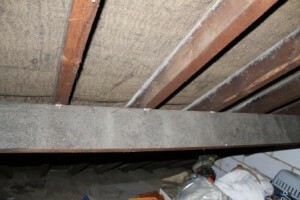 A defect like this is not costly to remedy but needs immediate attention to prevent damage to the timber roof structure. Potentially we saved our clients thousands of pounds in future repairs were this defect left unnoticed. If you’re in need of some advice on a property defect, a Homebuyer survey or building survey, contact us on 01635 579 208. Problem with your Property? 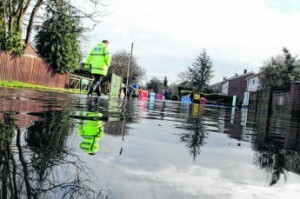 RMA Surveyors can help! Property investment is expensive. 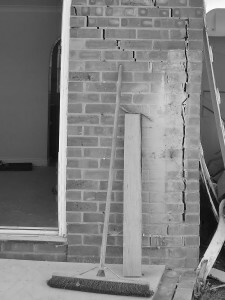 Remedial works for untreated defects can be costly and can affect the saleability of the property. Therefore, it’s important to keep your property in good condition. If you notice a potential problem, don’t leave it, get a professional to make an assessment on your behalf. The cost of a Chartered Building Surveyor’s fee may save you thousands of pounds. If you’re unsure how serious a building defect may be, seek advice from a Chartered Building Surveyor who can visit, inspect, report and advice you, provide remedial advice and put your mind at ease. Recently RMA Surveyors Ltd has undertaken Defect Inspections to assess a variety of defects from damp, condensation, dry rot, flooding, cracking in walls, potential subsidence and concerns over construction works to extensions. When you instruct the services of RMA Surveyors Ltd, a surveyor will attend the property and make a full assessment of the problem. Following this inspection a Defect Report will be written, detailing the specific materials, construction, implications and other associated issues regarding the building defect or defects. If further advice regarding reinstatement is required we will also be pleased to assist. For more information, visit the Surveys page or call 01635 579 208.